We covered the benefits of drinking sole, a saturated salt solution, and how to make sole but there are so many other uses for salt that don’t involve drinking it. Sole is great for brushing the teeth and the tongue. It can balance the pH in your mouth and as salt is naturally antibacterial and antifungal, it can help with bleeding gums, periodontal diseases, mouth ulcers and bad breath. If used regularly and consistently, it will dissolve tartar and whiten your teeth. If you have a sore throat, gargle with sole. 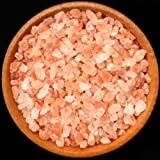 Salt is mildly antiseptic and soothing for mouth pain and toothache. If you have a cold, the flu, a fever, gout or just suffer from cold feet, try this. Dissolve 2 tablespoons of natural crystal salt in 500 ml cold water. Soak a pair of cotton socks in this mixture and take a hot bath or soak the feet in hot water. Dry yourself, wring the socks out and put them on. Put on a pair of woollen socks over the cotton ones and lie down or go to bed. The socks will be dry in the morning. A therapeutic salt bath is useful for all sorts of conditions from infections to skin complaints, joint pain, gynaecological diseases and post-op recovery. It can help boost the immune system, detoxify and balance the body and is equivalent to a 3 day fast. You need to make the salt concentration equal to that of bodily fluids – approximately 1%. For the average 100 litre bath, add 1 kg of natural salt. A temperature of 37° C is ideal and soaking for a good 20 – 30 minutes in this would approximate bathing in the womb. You have written some very interesting remedies and I want to know more. You have piqued my interest.